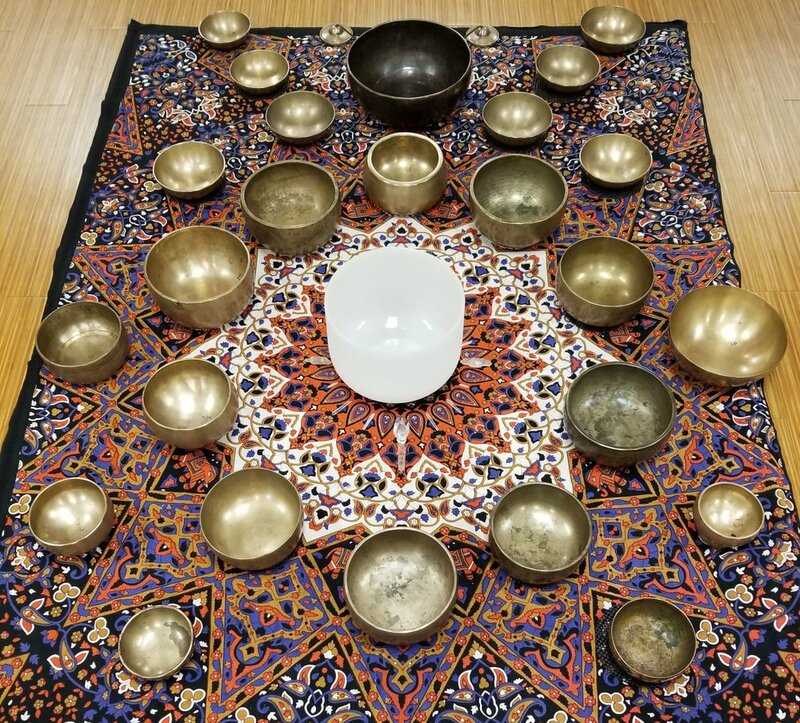 Human Activation sound frequency specialist, Pat Dimond, will be playing several of these rare Singing Bowls, some of which are over 200 years old. 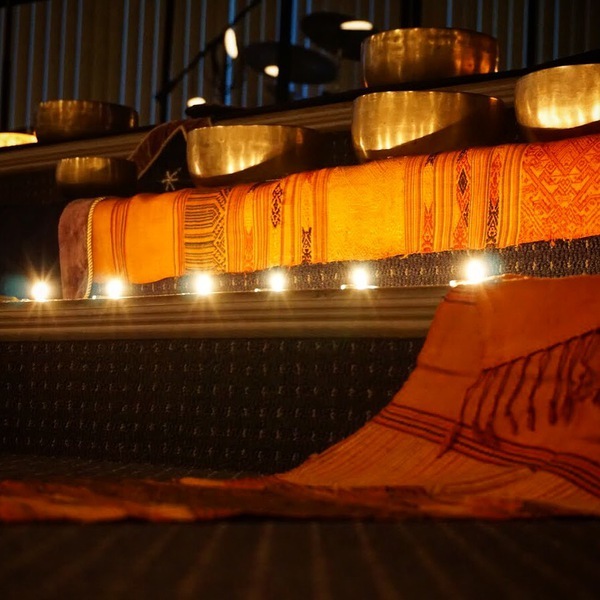 This month’s Deepening will be an offering of some of the most mysterious of all Tibetan singing bowls. 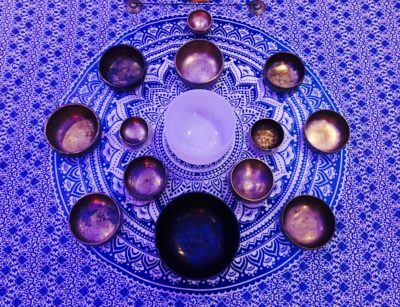 Shaped like the foot of an elephant, the Mani bowls are very heavy and stout, but with an unexpected high etheric frequency, sure to have you traveling in space and time. This Deepening is definitely NOT for newbies or first-timers. 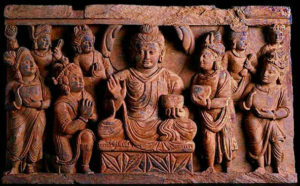 One must be well acclimated to the art of transmutation,“letting it go and letting it flow”, in order to fully appreciate these powerful masters. 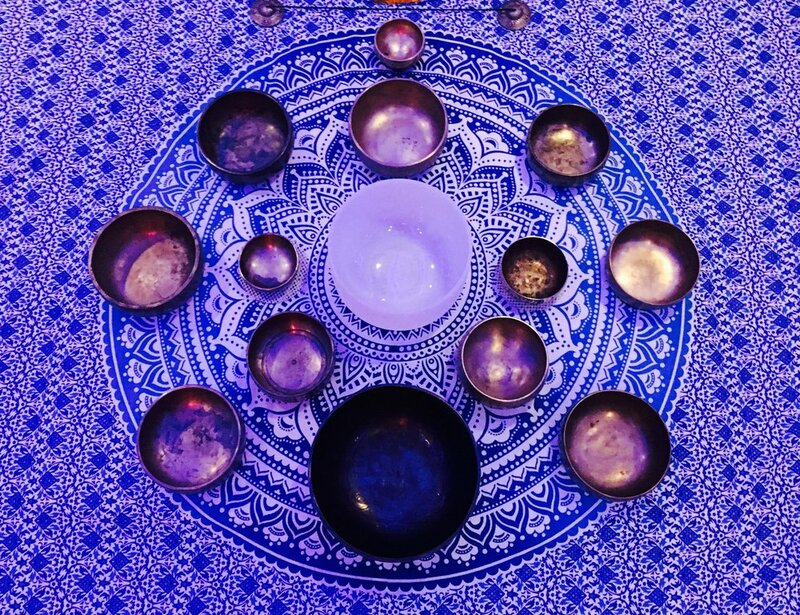 Since these bowls have never been out, we don’t even have pictures of ours to show you! One more unique thing about this set is that this is actually a 12-piece chromatic set for a full-spectrum frequency experience like no other.